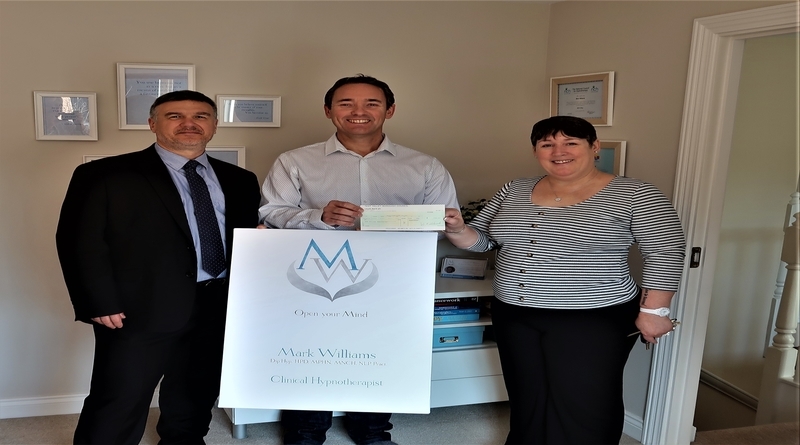 Andover resident, Mark Williams has been awarded a Business Incentive Grant after launching his new hypnotherapy business. Mark received the £750 Test Valley Borough Council (TVBC) grant after setting up MW Hypnotherapy last year. MW Hypnotherapy offers long term support for clients experiencing pain, with anxieties, eating or skin disorders and stress. The last few months has been an exciting time for me, not only developing my business with the opening of another clinic in Lymington, but also working with clients and seeing the true benefits they have come away with after receiving hypnotherapy. I am extremely grateful to Test Valley Borough Council for this generous grant, which I will use towards marketing and research. I am keen to promote Hypnotherapy now that it is considered more of a first line intervention. I’m very glad to be able to present this cheque to Mark. It’s always great to see somebody launch their own business and I wish him every success. The council’s £750 Business Incentive Grants are available to anyone looking to set up their own business in Test Valley. Entrepreneurs should apply for the grant before they start their company and if it is still going strong six months later, they will receive the cheque.